If you've been pulled over by a police officer, it's important to recognize that there are specific rules regarding when law enforcement can search your vehicle. Consent to search. 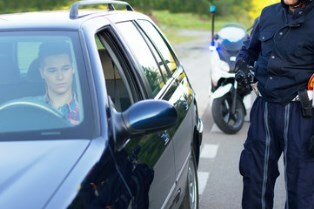 If you allow the officer to search your vehicle, no warrant is needed. Consent must be given voluntarily and without coercion to be valid. If the officer coerces you into granting permission to search the vehicle, any resulting evidence can't be admitted in court. Searches conducted based on probable cause. If an officer has probable cause to believe there is incriminating evidence in your vehicle, the search is allowed. For example, smelling the odor of marijuana would classify as probable cause to search for drugs and related paraphernalia. Searches considered incident to arrest. If you're being arrested, the arresting officer can search your vehicle to look for weapons if you're within reaching distance of the vehicle at the time of the arrest. This is considered a valid safety precaution. Inventory search of an impounded vehicle. If your vehicle has been impounded, officers are allowed to search as part of an inventory of the contents. The main reason for this type of search is to make sure all personal items are returned to you after the vehicle is released, but any incriminating evidence found as a result can be used against you. When you are stopped by a police officer, it's best to remain calm and avoid physically attempting to interfere with the officer's work. If you believe a search of your vehicle is being conducted illegally, you should retain an attorney who can challenge the validity of the evidence when your case goes to court. Virginia defense attorney Charles V. Hardenbergh has extensive experience helping drivers handle both reckless driving and DUI cases. Call today to schedule a free, no-obligation case review.